Sulaymaniyah is taken by rebels, then re-taken by Iraqi forces. Months later, rebels re-take the town. The 1991 uprising in Sulaymaniyah was one of the biggest 1991 uprisings in Iraq. Sulaymaniyah, a Kurdish city of over 100,000 population, was the first Iraqi city to be captured by rebels and the last one to fall. 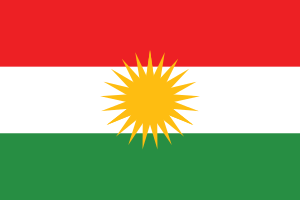 The city was recaptured by Kurdish rebels, after the Peshmerga launched a new offensive on 20 July. Since the autonomy agreement collapsed in 1974, Kurds had been fighting an armed insurgency against Saddam's regime. After the Gulf War heavily damaged the Iraqi military and an uprising began in Southern Iraq, Jash (Kurdish militia used by Saddam Hussein's regime to fight Peshmerga) deserters, seized control of the city of Raniya with support of the local population. Many of the militia took sides with the Peshmerga. The revolutionary feeling spread to the rest of Kurdistan, where people took to the streets and Peshmerga entered the cities and seized control of Raniya, Chawar Qurna, Koi-Sanjaq, Sulaymaniya, Halabja, Arbat, Arbil, Duhuk, Zahku and Kirkuk. The uprising started on 7 March as lightly armed Peshmerga entered the city and ousted government forces. The Peshmerga were joined by local civilians, who took the streets and helped the Peshmerga launch a mass assault on all government buildings and detention centers, freeing hundreds of political prisoners. The last and biggest point of resistance by the Iraqi security forces was the heavily fortified Security Directorate. Ba'athist forces fought off the Kurds for over 2 hours, after which Kurdish Peshmerga and rioters entered the building; by 8 March, the entire city was under Peshmerga control. Many captured Ba'athists were torn to pieces, alive, by the angry crowds; others were burned or cut to pieces with saws. According to Human Rights Watch, an estimated 700 Ba'athists security personnel were killed in such executions by the people, but regular soldiers were mostly pardoned and allowed to return home. After the defeat of rebels in the south and the fall of all southern cities to Iraqi security forces, the Iraqi government turned north, where they deployed aircraft, heavy artillery and tanks to confront the Peshmerga. With food shortages and no international backing, the Peshmerga were outmanned and outgunned, with over three-quarters of the Iraqi army on the outskirts of Sulaymaniyah and 20,000 Peshmerga protecting the city. Heavy fighting occurred around the outskirts. The Peshmerga eventually retreated into central Sulaymaniyah after withstanding a ten-day assault by over 90,000 Iraqi troops supported by tanks and aircraft. Casualties were heavy on both sides. The outgunned Peshmerga lost 6,000 of their original strength of only 20,000, and because the Iraqi army lacked tactical training, they suffered dramatic casualties and lost nearly 17,000 troops. On 31 March, the government offensive against the city itself started. It began from the west and focused on the civilian neighborhoods of Bakhtiari and Rizjari. The district of Azadi was also hit by heavy shelling and by attacks from helicopters. On 1 April, the Peshmerga attacked Iraqi tanks from the hills overlooking Bakhtiari, destroying a quarter of the Iraqi army's tanks; but by 2 April the Peshmerga called on civilians to evacuate the town and flee north before the Iraqi forces entered. In a last attempt to hold the city, the Peshmerga launched the suicidal Shahid Mahmood offensive, in which they wiped out several lines of Iraqi infantrymen, and by the end of 2 April had successfully captured the Sannandj road. To avoid annihilation, the remaining Peshmerga retreated back to Mount Qandil. By 3 April, the military took control of the city, which had turned into a ghost town as all civilians had fled in fear of government reprisals. 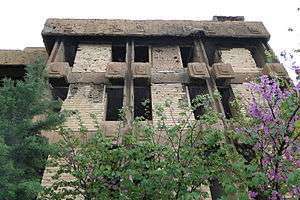 The city therefore also remained relatively intact, although suffered heavy looting from Iraqi soldiers. After many Kurds had returned to their homes, in July the Peshmerga decided to confront the Iraqi Army again. On 20 July, the KDP and PUK Peshmerga launched a joint assault on the cities of Arbil, Dohuk and Sulaymaniyah. By October 1991, a cease-fire was signed, the government leaving the Peshmerga in control of some 16,000 km2 (6,200 sq mi) of Iraqi land. This area became a de facto Kurdish state within Iraq and was completely blockaded by Saddam Hussein and cut off from the rest of the country. 1 2 "kurdish uprising (1991)". Dialectical-delinquents.com. Retrieved 16 October 2014. 1 2 3 4 5 6 "The 1991 Uprising in Iraq And Its Aftermath". Hrw.org. Retrieved 16 October 2014. 1 2 3 "History of Peshmerga" (PDF). Etd.lib.fsu.edu. p. 59. Retrieved 16 October 2014.